As has become fairly standard for high-class film festivals, the 23rd year of SXSW Film in Austin kicked off with world renowned but locally-related talent making splashy debuts. Within its first 24 hours, the fest saw both the world premiere of Richard Linklater’s Everybody Wants Some!! and the North American premiere of Jeff Nichols’ Midnight Special. The former director is a Texan by birth; the latter, a Texan by choice – almost certainly causally related to Linklater’s contributions to the Austin film scene. The parallels between the two films and filmmakers only accelerate when looking past geography. Both, in some way, are films about the 1980s. This is more obvious in Everybody Wants Some!! given that Linklater uses the decade as the setting for his raucous college comedy. Linklater did note in a press conference, however, that the specific year in which the film takes place, 1980, was essentially still the ‘70s. But that same amorphous fluidity of the just dawning decade actually compliments the aura of collegiate discovery quite nicely. As the elite baseball team at Southeast Texas University swings from party to party in the three days prior to the start of classes, a hopeful sense of expectation and experimentation undergird the proceedings. The year awaits them, yes, but so does the culture at large. They go from the burning up the dance floor at the disco club to riding the mechanical bull and doing the Cotton-Eyed Joe at the country saloon within the same evening. When not throwing a raging party at the house given to them by the university, they mingle with the punk rockers at a grungy concert venue one night and even check out the high-concept bash at the drama house. While the new freshmen players acculturate to the team vibe, very little in the way of plot developments or dramatic tension ever arises. If anything, the narrative engine is the resistance of forward motion and the dogged clinging to the fading moment, by both character and director alike. As if trying to prove Mason’s final maxim from Boyhood (“it’s like it’s always right now”), they relish every second of collegiate freedom without the burden of responsibility in that transitory period before the start of classes. Linklater largely indulges their hedonistic desires, crafting a college movie with only one scene in a lecture and a baseball movie with only one scene of practice. It’s the tiny moments showing their competitiveness and collaboration, quietly yet also riotously evocative, that make up the bulk of the film. Yet despite such fondness, Everybody Wants Some!! never reeks of nostalgia. Affectionate time capsule though it might be, Linklater’s film employs his detailed knowledge of the period to illuminate a truth about the narrow corridor between being a child and being a parent. The air is full of possibility as old truths make way for new opportunities, both for the time itself and these young adults becoming acculturated within it. 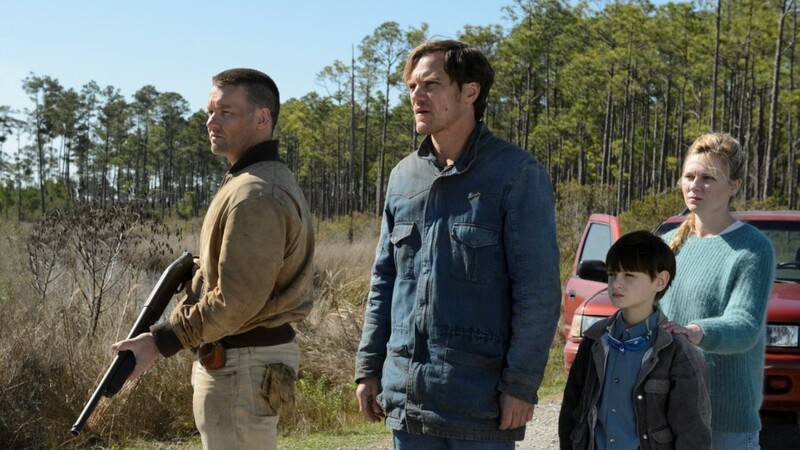 Midnight Special has many thrilling and breathtaking moments that deserve recognition as creations of Nichols’ and his creative team in their own right. Several crew members stuck with him through many projects for the past decade, which saw the director make the leap from $250,000 indies to $20 million studio fare. In his fairly unsubtle homages to films like Close Encounters of the Third Kind (which was released in 1978, to be fair), E.T. and Starman, Nichols grants them a kind of aesthetic supremacy in his yearning for the paradise lost of this post-New Hollywood era. This very specific window of studio filmmaking, after the “Movie Brats” took power but before the dawn of nonstop CGI interference, found a satisfying balance between artistic integrity and audience satisfaction. Nichols employs his post-Mud goodwill to attempt a return to such a happy median, injecting the American indie sensibility into Spielbergian conventions of storytelling and presentation. He favors suspense over scares and restraint over excess, in everything from Adam Stone’s measured cinematography to David Wingo’s affecting score. These interventions revise – and perhaps even formalistically improve upon – the foundations of ‘80s commercial cinema. But the vague plot and characterization, along with the more complex tonalities, are to Midnight Special what the non-animatronic monster was to J.J. Abrams’ Super 8. That is to say, these aspects appropriated from modern filmmaking belie the original films being referenced and just throw into stark relief how the new creations are not like their forbearers. Nichols might take the audience on a ride that hits familiar beats and evokes recognizable moods, but Midnight Special is missing a foundation in the pathos and humanity in which Spielberg and Carpenter firmly rooted their iconic films. In a post-premiere Q&A, he described the origins of the film as thinking about two guys in a car getting chased and where the story could go from there. In other words, genre dictated the story of Midnight Special, where the inverse feels true for a film like E.T. The project further developed, Nichols said, as he thought about parents trying to understand children and their needs. It’s hard to deny the deep emotional bond between Michael Shannon’s Roy and his supernaturally empowered young son, Jaeden Lieberher’s Alton. But when it comes time to elicit awe in the film’s visually dazzling finale, the shifted point of view makes a big difference. The films of Steven Spielberg magnify a viewer’s wonder at the screen by encouraging identification with a childlike character. Critics of his style often accuse him of similarly infantilizing his audience by telling them how to feel with sweeping cinematography and, of course, a swelling John Williams score. Nichols’ adult perspective undermines such a grand finale by placing its wonders with the realm of the cerebral and the conceptual. Midnight Special favors the intellectual over the emotional, the thought over the feeling. This does not necessarily make the film categorically better or worse. It just feels odd for him to summon the memory of the decade’s great films only to contradict their power. Nichols, like Linklater, casts a backward gaze to the ‘80s to weigh in on the present. But Everybody Wants Some showcases the work of a more mature filmmaker, since Linklater trusts the timelessness of the decade to ring through without excessive intervention or interpretation. The period does not require idealization or improvement from the present-day vantage point. For Linklater, the 1980s are a time that can stand independently from the 2010s and still offer plenty of insight into modern life.